Add a little extra touch to your bed with the Lila cushion from Dreams & Drapes. 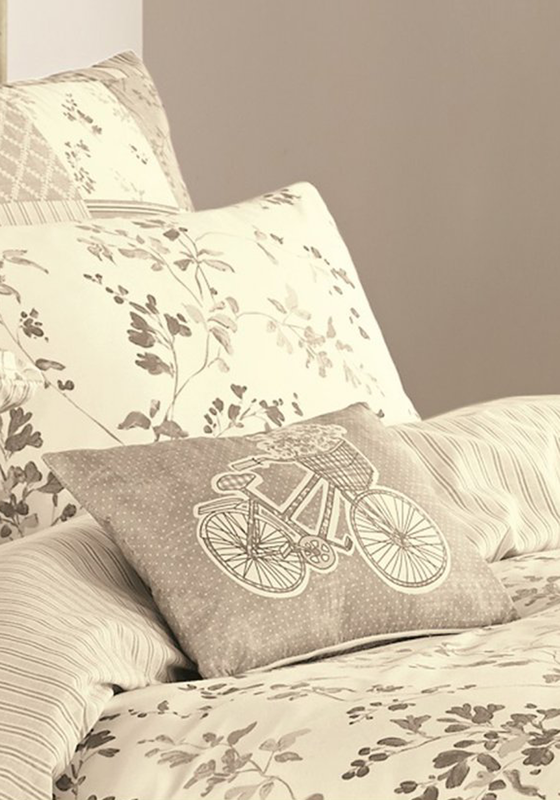 A small rectangular shaped cushion that features a print of a bicycle with a front basket full of flowers. A natural beige all over colour. There is a full length zip to remove the cushion when the cover needs freshening up.